I haven't personally used it, but I think I would show it to my little brother. I prefer using other programs. Although my first game making tool was Klik & Play and reminds me of this concept to a degree. I took one term of that at school a year ago, and that was enough. That language shouldn't be allowed anywhere. It's a single player puzzle game. If you wanted to see a little VB code, I may open up the source code of my game. 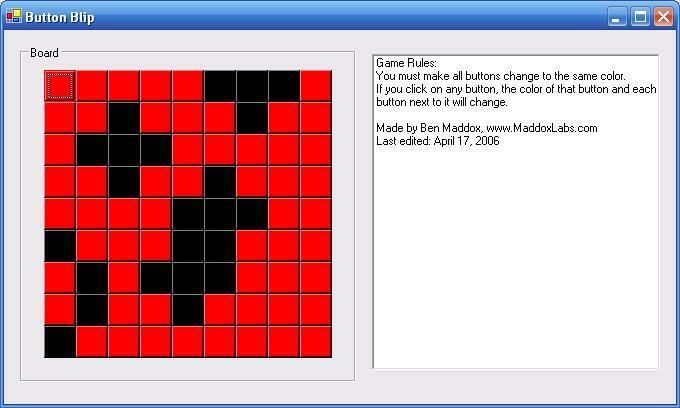 www.maddoxlabs.com/downloads It's a simple strategy game. If you want to contact me for code, use the e-mail address on that site.